Canadian-British soprano Alexandra Smither is quickly making a name for herself in the world of old and new classical music. A recent graduate from the prestigious Shepherd School of Music at Rice University, 2017 brings performances at Carnegie Hall, the Banff Centre for the Performing Arts, and the Tanglewood Festival. 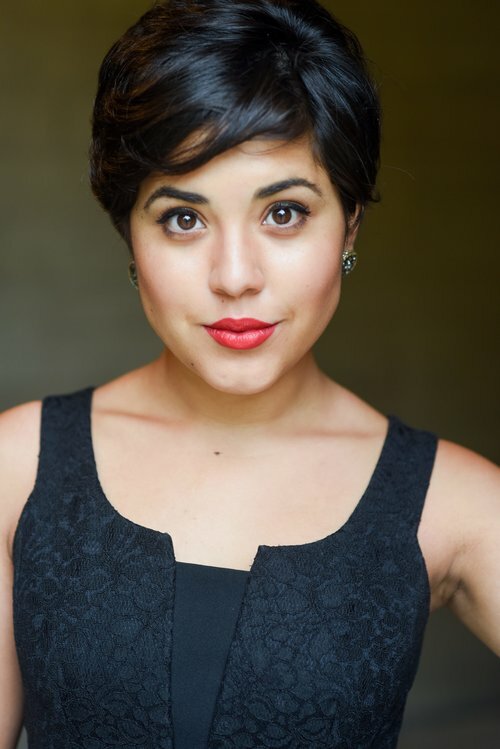 Roles performed include Esmeralda in The Bartered Bride and Lydia in Second Nature at Music Academy of the West, as well as Gretel in Hansel und Gretel, and Amore in Il ritorno d’Ulisse in patria at Rice University, Valancienne in The Merry Widow with Opera York, and Taumännchen in Hansel und Gretel with Metro Youth Opera. She has performed in scenes from Der Rosenkavalier (Sophie), Ariadne auf Naxos (Zerbinetta), Don Giovanni (Zerlina), Così fan tutte (Despina). In June of 2017 she looks forward to inhabiting the role of Mrs. Waters in The Boatswain’s Mate by Ethel Smyth for the Canadian premiere with Opera 5. An avid chamber collaborator, Ms. Smither has appeared in concert singing Schoenberg’s Pierrot Lunaire, Britten’s Les Illuminations, Salonen’s Five Images after Sappho, Chin’s Akrostichon Wortspiel, and Higdon’s Love Sweet. She is a member of the Houston-based contemporary music ensemble Loop38, and was the co-founder of the new music ensemble Hear&Now at Rice University. She was the third prize winner at the 37th Eckhardt-Gramatté competition, one of the youngest vocal finalists in the competition’s history. In May of 2017 she joins forces with violinist and fellow Canadian Timothy Steeves for a tour of contemporary music for soprano and violin. Equally at home in oratorio, she has performed the soprano solos in Handel’s Messiah and Bach’s Magnificat. Ms. Smither has spent her summers at the Music Academy of the West, Songfest Mark and Eva Stern Fellowship), and the Franz Schubert Institute (Jean and Aline Chrétien Grant from the Jacqueline Demarais Foundation). She has performed recitals at the Prince Edward County Music Festival, the Navasota Musical Club, and at the Arts and Letters Club in Toronto, Ontario.